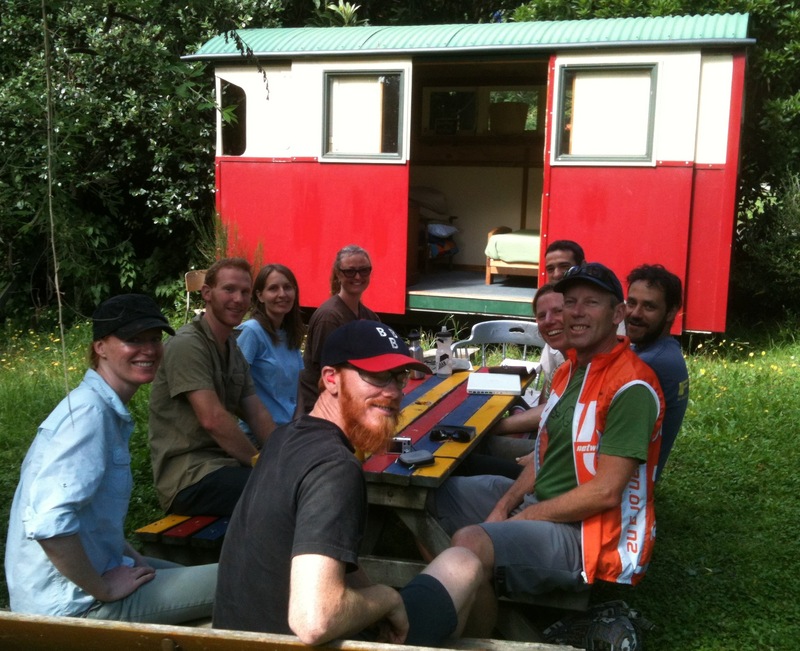 This is the booking process for a night or two in the Happy, simply home in Paekakariki, Aotearoa New Zealand. 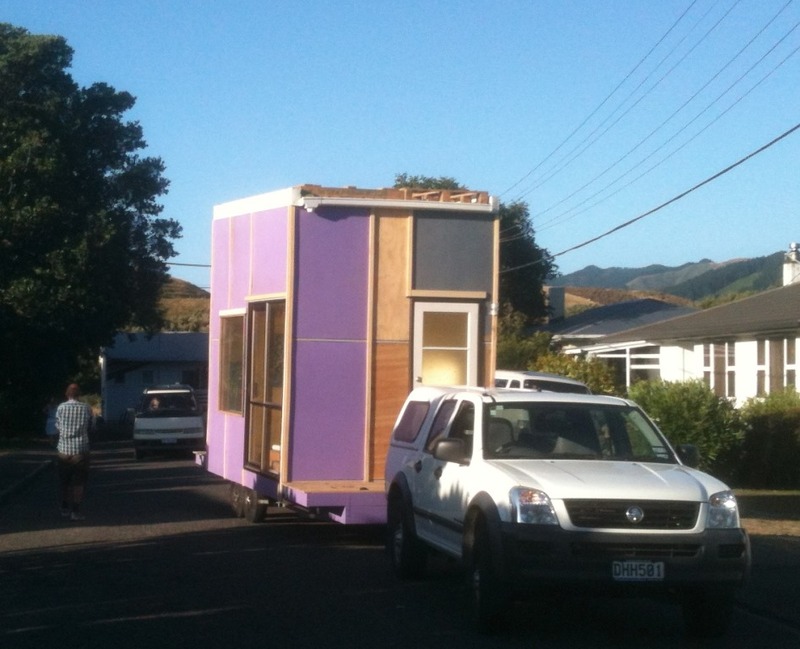 It is also the same premise and model I am to have for the Happy, simply home being built soon in Aldinga, South Australia… Hope you get to have a night in the Happy, simply home soon! 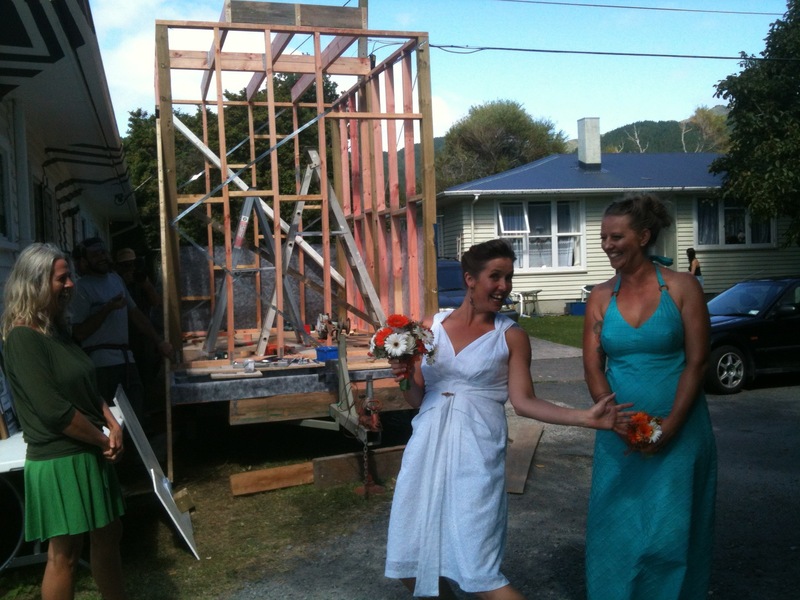 Below is the simple two step booking process for the Happy, simply home in Paekakariki, Aotearoa New Zealand. There are also a few notes about what there is and what to expect in the way of amenities (or lovely lack of!). Hope to see many people get to experience the Happy, simply life! Note. stays are for max two nights unless negotiated as we want lots of people to have a Happy, simply experience, cheers! 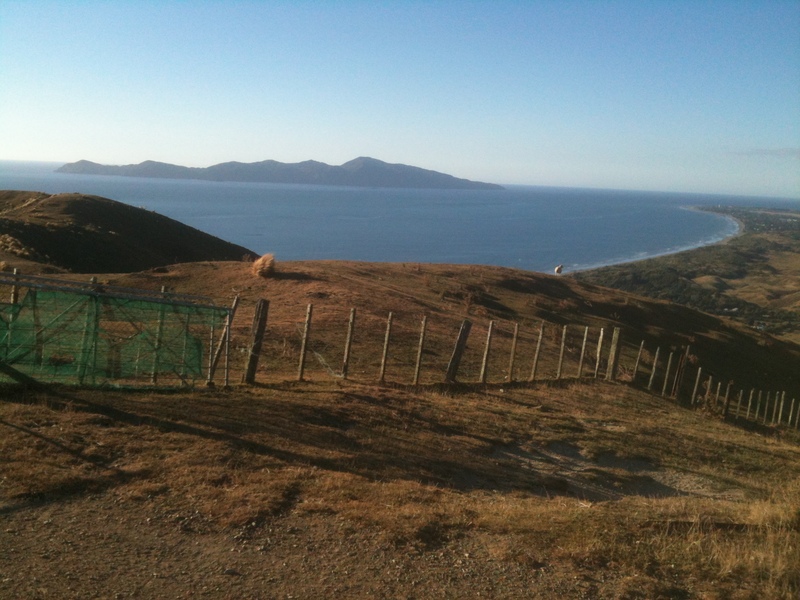 Kia Ora and welcome for your stay in the Paekakariki Happy, simply home! The Happy, simply home is on a beautiful person’s front lawn – Justine. She has very graciously allowed me (us) to have the home here and we should give her the same respect, kindness and hospitality with our stay here (drop her some chocolate or wine if you want!). 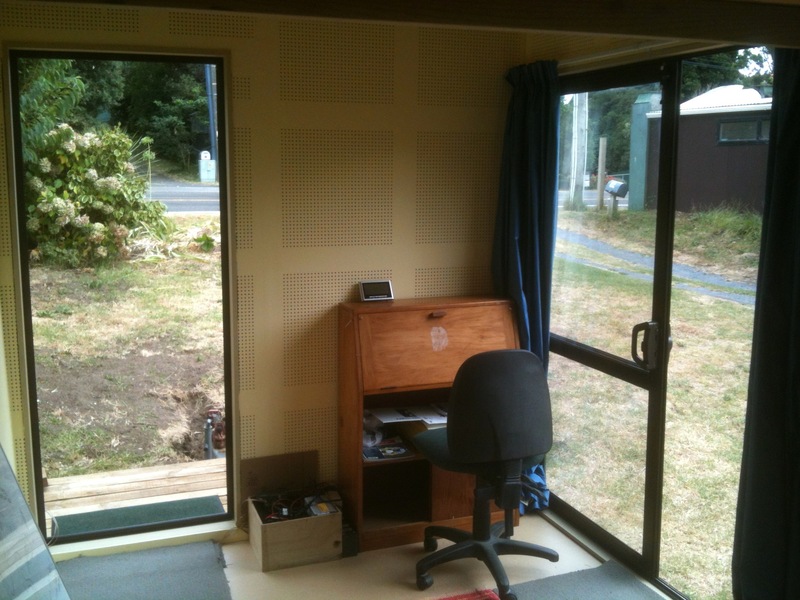 Enjoy your taste of the Happy, simply life and please leave a note in the guest book and a koha (donation) would be appreciated to go into maintenance, gardens, gas for the cooker, replace solar batteries and improvements. 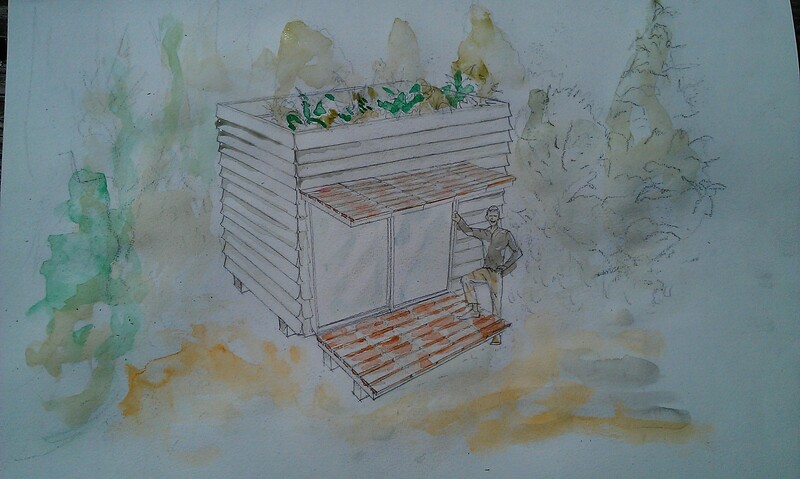 The composting toilet is not yet ready for use, we hope to build a small shelter on the back deck with extra door into the home but alas not yet! Take on the project maybe? Remember over a billion people don’t have access to a toilet and shitting into drinking water is a pretty crazy concept, hope to have the compost loo ready soon! The blue rainwater tank is clean and beautiful rain water. I also put a little waterguard solution in once every 6 months just in case but it is much cleaner and better for you (and the environment) than tap or bottled water. Feel free to put bubbles in your water with soda machine! If you happen to run out of water (why?) there is a tap near the footpath with safe water but there shouldn’t be any need for it unless there is a long drought or overuse! It is only one smallish 95W solar panel on the top feeding onto a series of 7amp batteries in the home (stats for the solar nerds). o Only use electrical items that draw less than 100w (basically simple electronics – phones, laptops, etc but nothing that produces heat. o The green indicator lights will be 5 when the sun is out and at full charge, it will drop to 3 lights quite quickly but don’t worry you still have enough light for probably the entire night! o If it runs out then light a candle and enjoy the atmosphere! There is a gas bottle and stove under a bucket under the outdoor kitchen wooden thingy, just light a match turn the knob and you are cooking with gas! o Use a hook to hang the solar shower bag from the window seal of the highest window then put the hose into the hook near the wire hanger, turn on and you will get a shower effect! It will be fresh no matter what but invigorating and I personally enjoy it. 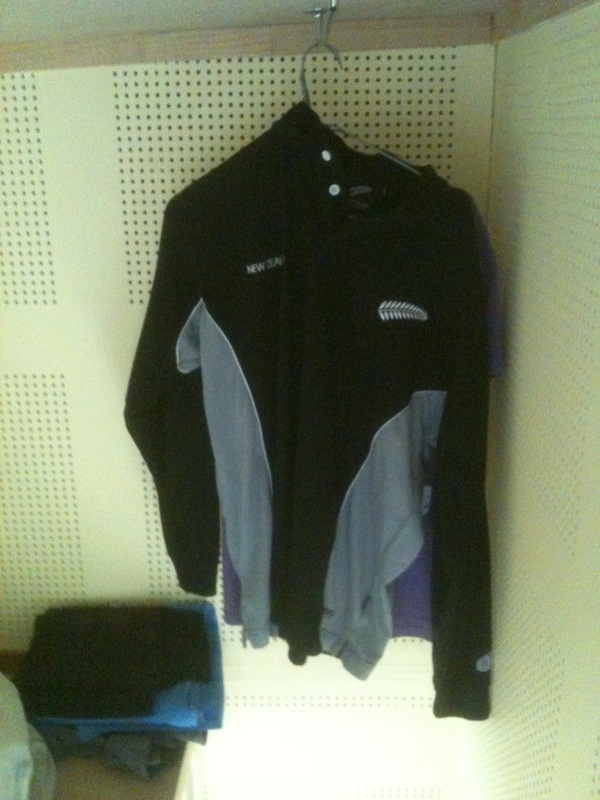 When it is cold out go for a walk, run, ride get a sweat up and then take a shower and cool off! Alternatively: go and ask at the caravan park for a shower and they may get you to pay a few dollars; heat up some water and bucket shower; go to Paraparaumu to the pool for a swim and a hot shower; or swim in the ocean – I think it counts as a bath! There is a tiny worm farm under the house – give them coffee and simple food scraps – no citrus, onion, meet, diary or bread, those and lots of food scraps can go to Justine’s chooks – down near the shed. There are (usually) two bicycles available if you are keen for a ride. I love and use them a lot so please look after them but still ride them as hard as you like! Please feel free to make little adaptations and smart ideas – we love it when we see little touches that make a difference. If you have a bigger idea that would be great too, just check with us first… Above all enjoy your stay and I hope there are some ideas you take with you! 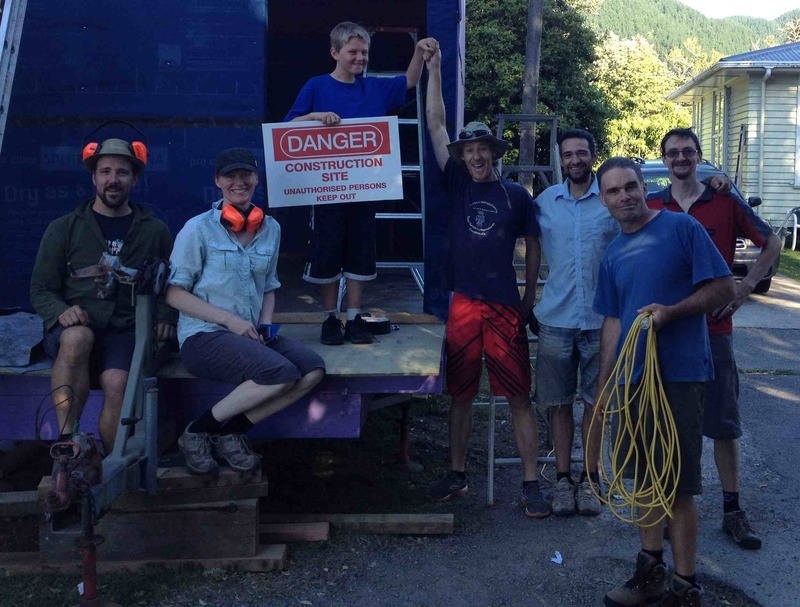 The Happy, simply home project is attracting some great people who do great things… We have a wonderful core team who will be there every day of the build – thank you Lindsay, Sam, Beau, Charlie and sure to be a couple more, as well as a bunch of keen and enthusiastic volunteers from day to day. Next week is the designing phase (not me!) and then we will have a bit of a blue print to build from but very flexible and dependent on what materials become available. 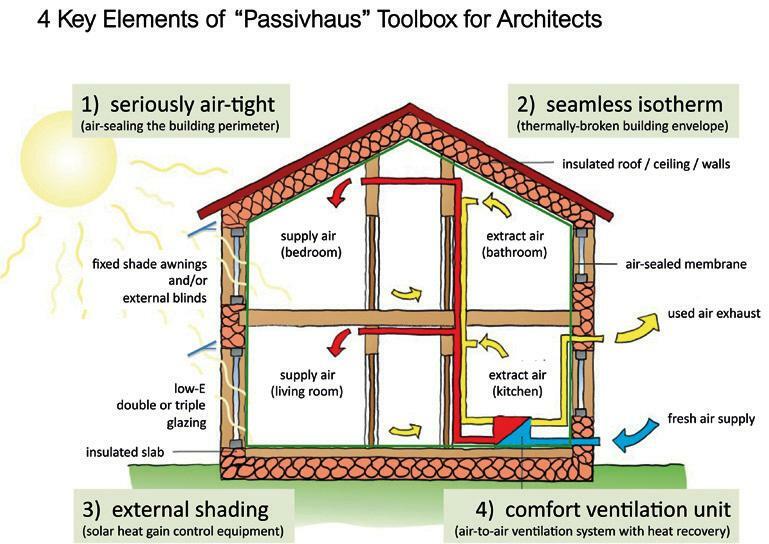 Passivhaus is about providing healthy low-E buildings for a comfortable healthy living. It’s core principals rest on (i) true air-tightness (to achieve real energy efficiency and manage dew-point challenges), (ii) seamless insulation (without thermal bridges and proper fenestration, eg. 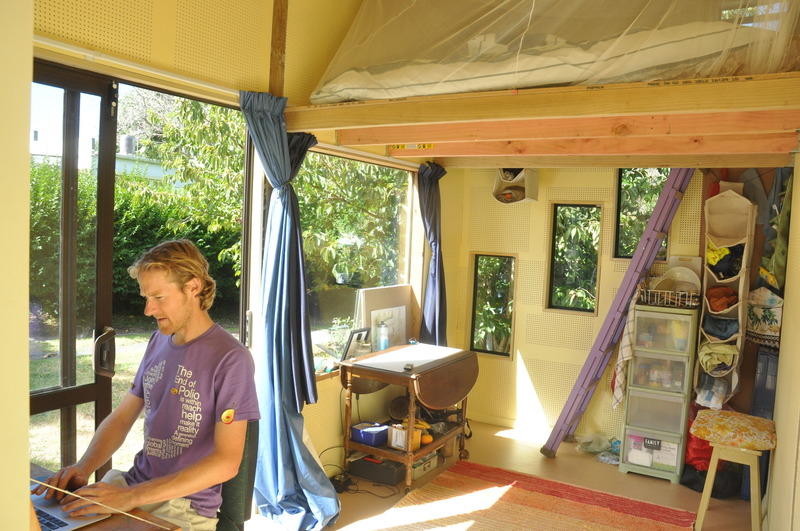 triple-glazing with compression seals only), (iii) external solar heat gain control (blinds to keep the sun out before it hits the glazing, etc. 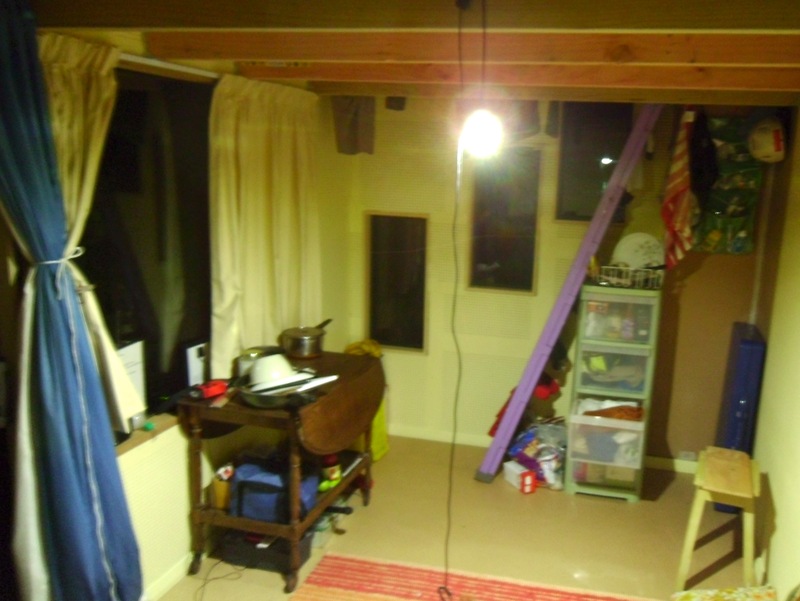 ), and (iv) energy recovery ventilation (for when the climate is too adverse to have windows and/or doors open). This is a huge attribute to the Happy, simply home. 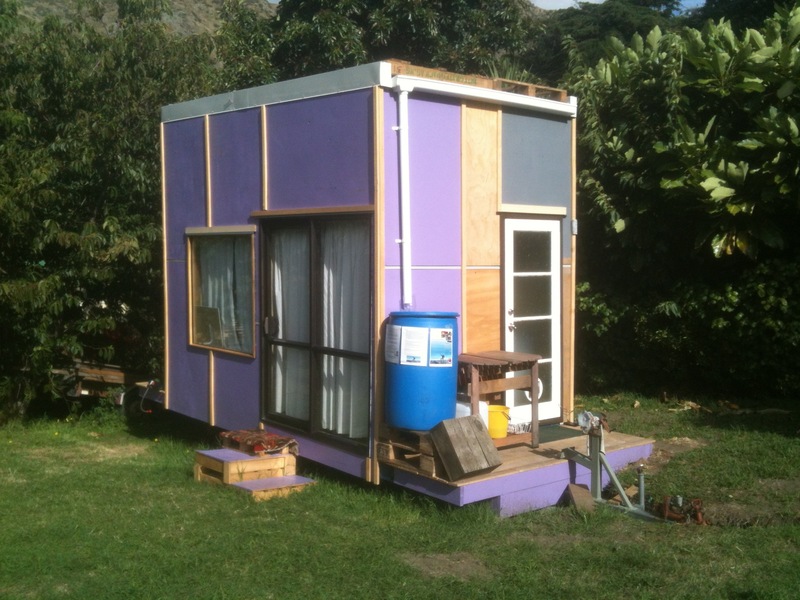 In New Zealand their sister company Pro Clima provided us a similar product for the home there. It has added such a quality to the home in temperature, moisture and comfort. 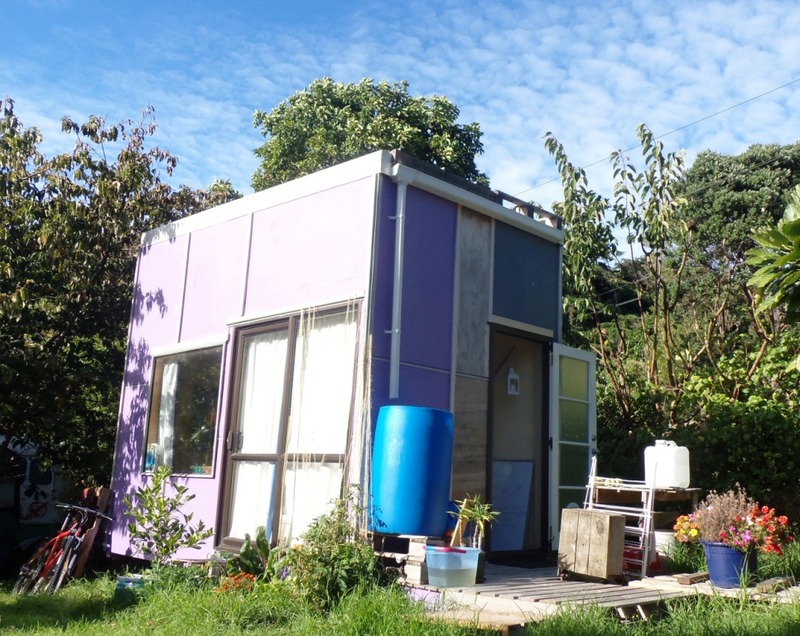 I don’t know much about housing but I know these materials make a huge difference especially in cold wet climates like New Zealand and hot dry climates like Adelaide, Australia. To read more on the technology of this building wrap please see the links below and the websites of Laros and Pro Clima – huge thank you to both of them and even more so for the information, education and inspiration for others which is what Happy, simply is all about! I’m sure there will be many others to collaborate with for mutual benefit! I have finally had the opportunity to live what was once a feeling, that turned into an idea, that turned into a concept, that turned into a poster and proposed project, which lead to an ideology of what was, for me, a happy, fulfilling, meaningful, connected and globally responsible way of life. 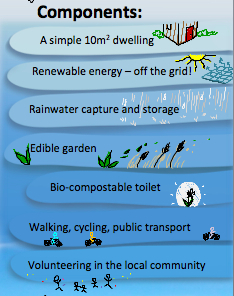 The plan back then was Happy, simply – a sustainable lifestyle model and education project. 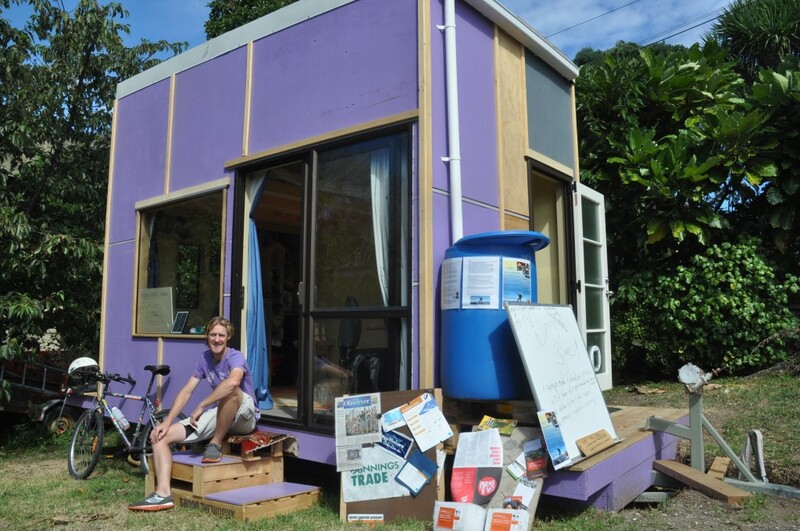 The components of this were a self-sufficient home off all grids (solar, water capture, compost toilet), responsible transport (walking, cycling and public transport), volunteering in the community. From the idea to the poster I then threw it out into the world to see what response or interest might find it. 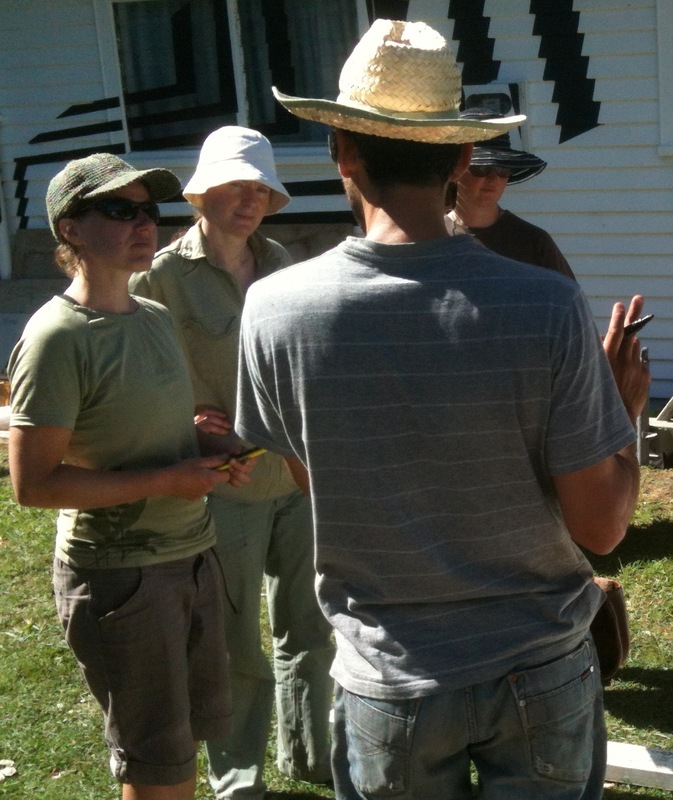 I was lucky to interact and follow up with a range of different people to learn and share with. 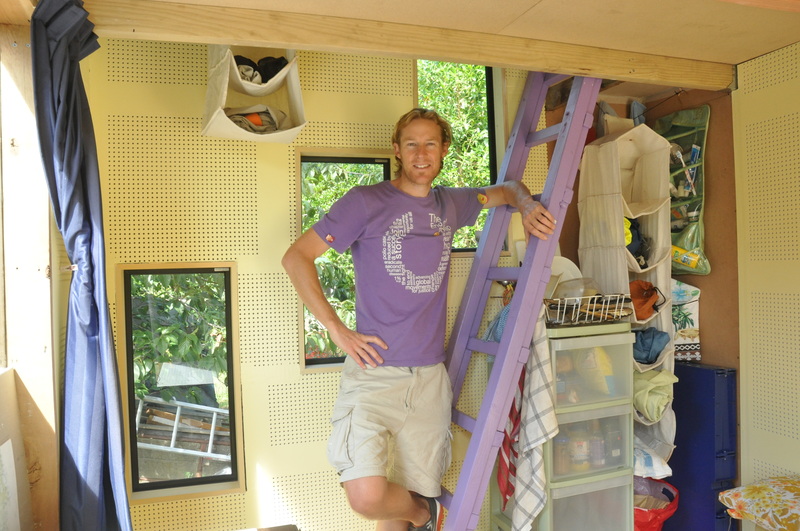 The tipping point to reality came when Tim from Sustainable HAbitat Challenge (SHAC) put me in touch with a Spanish couple who are designers and builders. 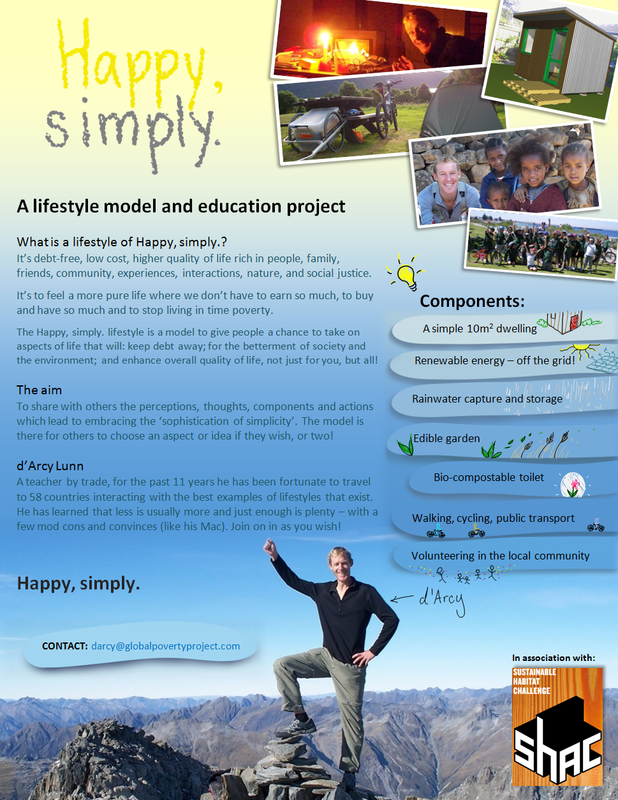 They loved the idea and so we set about how would be build the home component of the Happy, simply lifestyle model and education project. Currently living the Happy, simply home that was built by Javi, Mireia, myself and a myriad of wonderful volunteers still has me both perplexed and humbled by how we made it come together and all the generosity needed and given. 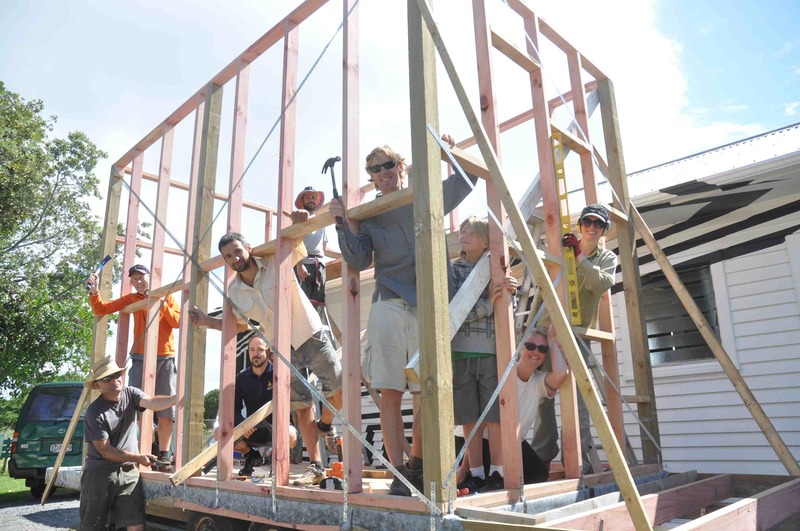 The Happy, simply home was built by a community and supported by so many and in a rainless February last year. 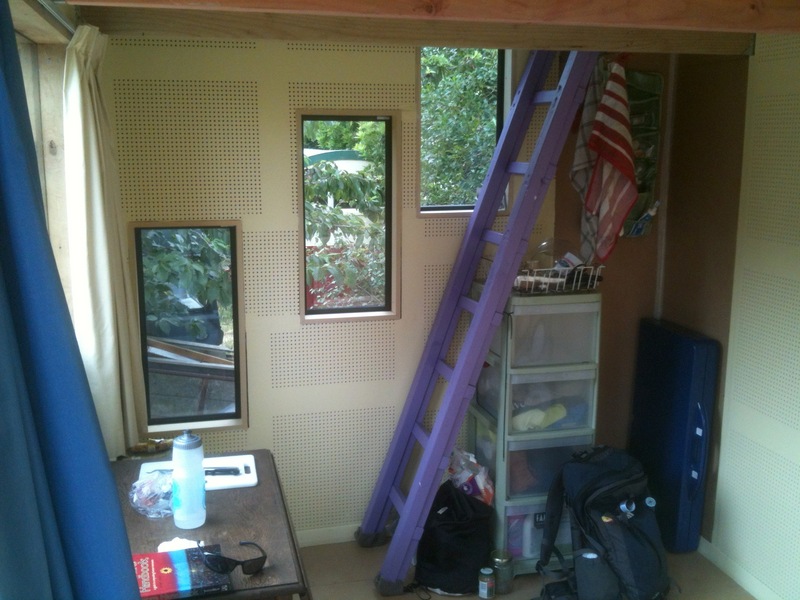 By March the purple 10m2 self-sufficient home was completed. At that time I was incredibly relieved and stressed by the whole process, it is not easy to be constantly vulnerable asking everyone for everything so I didn’t really have the opportunity to live the essence of the Happy, simply lifestyle before I took off back to Australia to see the newborn donor child I helped my friend have. After a month in Australia in April last year I took off again for 6 months working with UNICEF in Uganda followed by some travel, volunteering and learning in southern Africa for a month and a half. I managed three days back in my hometown of Adelaide before going on a 5-week global awareness presentation tour of SE Asia. Finally at the end of this (not that I wasn’t loving every minute of it) I had a couple more weeks in Adelaide and Melbourne before I made it back to the Happy, simply home in Paekakariki, Aotearoa New Zealand on April the 1st one since I had left! My first night in the Happy, simply home was surreal, I couldn’t believe I was staying in a place that housed so many memories, emotions, generosity and more – the smile was plastered on my face all evening and night. Now almost two weeks on from that arrival I have settled into the Happy, simply lifestyle. I spend a couple days a week in Wellington doing some volunteering and then come 45km back up the coast to Paekakariki to live happily and simply in just the way I like it. I walk, I ride, I meet with people, I volunteer (mainly online setting up various programs and thinking of more) but I live in the most idealistic purposeful way I can imagine. I use less than 10l of water a day, I have enough power from my small 95w solar panel to charge my laptop daily, I compost my waste and my recreation is spending time with others, spending time with nature or writing blogs about how lucky I am I get to live life in exactly the way I have been envisioning for the past 2-3 years. 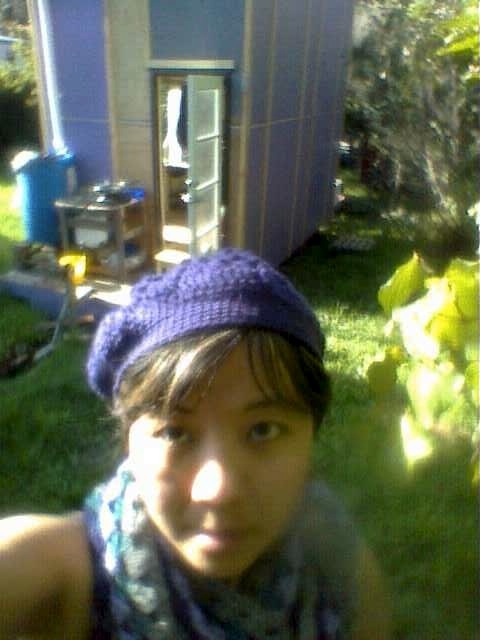 The photos will show that it looks like a cool little house but to me it means so much more it is Happy, simply – a sustainable lifestyle model and education project to me and hopefully others. I hope others have the chance to find their own Happy, simply as I know I certainly have. I hope this gives a bit of an idea just amazingly happy and simple a typical day is in the Happy, simply. – lifestyle model and education project! For me at least! A lovely wake up to the sounds of birds near the open window just a metre from my face and snug and cosy in the loft of the Happy, simply home. My work space is sufficient with a fold out desk, warm by 10am from direct sunlight and with a view of the outside and street to keep me sufficiently distracted! 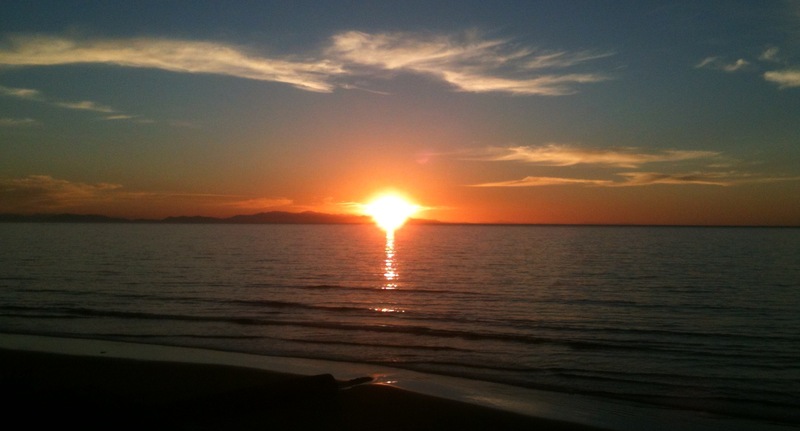 By late arvo I usually look to head out again for a ride, swim (if warm enough) or long walk to try and catch an incredible Paekakariki sunset – my favourite free gift everyday! The practical functions of the day are pretty simple with basic needs and therefore basic resources and surroundings.